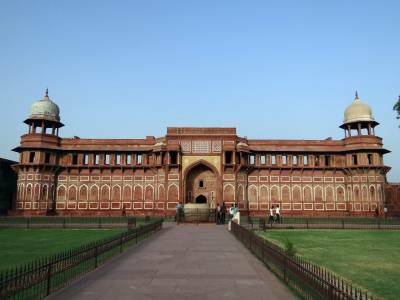 Agra Fort is situated near the bank of river Yamuna in the city of Agra, Uttar Pradesh. 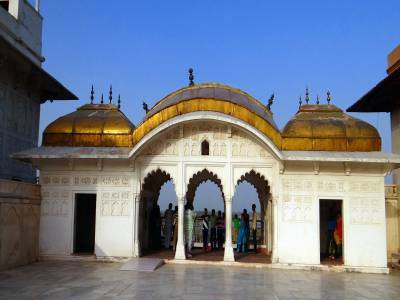 Its rich historical significance and architectural extravagance has made it one of the most attractive tourist destinations after Taj Mahal. The Agra Fort is a UNESCO World Heritage Site. 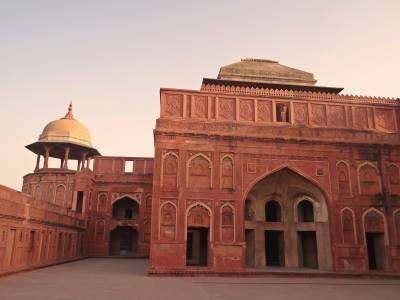 It was built by Akbar, one of the greatest Mughal emperors in 1573 on the remains of an ancient palace with red sand stones. Agra Fort remained to be the residence of the Mughals until the capital was shifted from Agra to Delhi during the reign of Shah Jahan, the grandson of Akbar. The last Indian rulers to capture the Agra fort were the Marathas, who lost their hold over it, after being defeated by the British East India Company in the Second Anglo – Maratha war in 1803. It has sustained many changes including the construction and destruction of many palatial buildings throughout ages under many rulers and conquerors during their reign. Parts of the fort are still being used by the Indian military forces. With a semi – circular layout, it covers an area of about 94 acres and is located just 2.5 km. apart from the famous Taj Mahal. 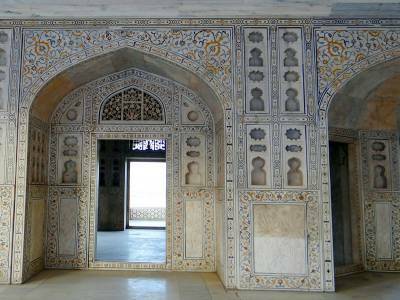 The major attractions of the fort include the Diwan-I-Am, Diwan–I–Khas, Macchi Bhavan, Khas Mahal, Shah Jahani Mahal, Nagina Masjid and much more. The magnificent palaces, lavish courtyards, royal pavilions and other structures depict the architectural excellence during the Mughal era. Tourists from all over the world visit this historical and architecture marvel throughout the year. The Climate of Agra is comfortable throughout the year and transportation and Accommodations is not an issue in Agra, it's well connected city by rail, road and air networks. 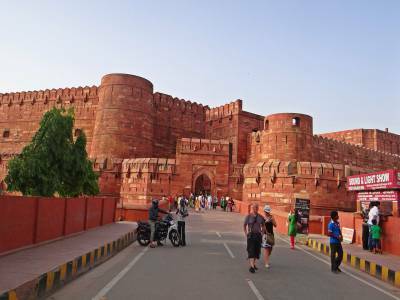 Get quick answers from travelers who visit to Agra Fort.